Last year I read Jonathan Janz’s Wolf Land, which was my introduction to the work of this incredibly gifted storyteller. That novel ended up landing in my top 10 favorite novels of 2015 and had me kicking myself for having not read his work sooner. So when Jonathan asked me to review his latest novel Children of the Dark, I was excited to see what he had in store with this novel. I am happy to say it is every bit as awesome as I expected! Fifteen-year-old Will Burgess is about to have the worst summer of his life, despite winning the league championship. Will and his best friend Chris Watkins just finished up their freshman year and despite their inexperience, they are among the best baseball players in Shadeland High. Their athletic achievements place them on the radar of upperclassmen Brad Ralston and Kurt Fisher, who despise Will and Chris for attempting to steal the glory from them. The tension is only amplified by the fact Will is helplessly in love with Brad’s girlfriend Mia and Chris pines after Kurt’s girlfriend, Rebecca. But their run-ins and near brawls with the upperclassmen are the least of their worries. One night when the trio of friends sneak off to swim in the creek at night with Mia, Rebecca and ice queen Kylie Ann, Mia sees something frightening in the woods of Savage Hollow. She claims she saw a face with huge, green eyes that glow in the darkness and teeth as long as knives leering at her from the woods. It just so happens that at that very same night they learn Carl Padgett, the notorious Moonlight Killer, has escaped from jail. His presence looms over the town of Shadeland. The day after the news broke of Padgett’s escape, Will notices the streets are deserted despite it being a sunny Saturday morning in June while on his way to Barley’s house. People were glued to their TVs and paralyzed with fear over the thought of a notorious serial killer on the loose. Once Will arrives at Barley’s house, Barley reminds Will of the local legend of the Wendigo, which stretches back thousands of years ago when Shadeland was home to the Algonquins and the Iroquois. This is the first mention of “The Children”, whose inclusion in the story help fuel the creepiness and dread that permeates every page of the novel’s second half. With the Moonlight Killer on the loose and reports of The Children surfacing again, Barley warns Will that things could get very bad. A storm is coming to Shadeland, the biggest one in years that is supposed to flood the area and cause extensive damage. One night when Will and his friends head out to the woods to meet up with the girls at their treehouse, the unthinkable happens – Kylie Ann is snatched by a pale hand and carried off deep into Savage Hollow. Will rushes to save her but gets knocked out but not before catching a glimpse of the large frightening figure that had grabbed her. As the authorities scour the woods in search of Kylie Ann, they make a startling discovery. Someone or something is loose in the woods of Shadeland and once it is unleashed, the town descends into chaos and bloodshed and not everyone will survive. When talking about what makes Children of the Dark such a great read, it is damn near impossible to limit it to just one thing. Janz excels at crafting vivid settings and characters that are bursting with personality and those traits are found throughout Children of the Dark. The opening scene of the baseball grudge match between Will’s team and Brad’s team is just one of the many scenes that really illustrate his talent at immersing readers into his stories. Janz gives readers important details about these characters in this scene and their personalities shine through in tiny moments, like when Chris and Will joke together on the mound. This is an impressive aspect of Janz’s writing because he makes you feel drawn to these characters and they appear fully formed in your mind in just a few pages. The events that unfold in Shadeland are incredibly frightening and ripped straight from the depths of hell, but Janz does such an amazing job of bringing the town to life, I couldn’t help but feel a connection to it. Although they are vastly different stories aside from each town facing hellish scenarios, I got the same feeling reading about Shadeland as I did reading about Chester’s Mill in Stephen King’s Under The Dome. Something about the way both Janz and King describe the towns their stories take place in – from the residents down to popular haunts that they frequent – have a sort of realistic quality to them that instantly draws me in. Every day when I would get home from work, all I could think about was diving back into the world Janz created despite the horrors lurking just around the corner. One of the things that I loved about Children of the Dark is that it is set in the present day, but it has a timeless quality to it, similar to the horror film It Follows. I loved the interactions between Barley, Will and Chris. They are a great group of friends and it is obvious their friendship has stood the test of time, considering they still hang out in their childhood treehouse that represents all the milestones of their friendship. Through these three, Janz perfectly captures that feeling of being a teenager where everything feels possible and looking forward to hanging out with your best friends. Their friendship also offers some comic relief as they tease each other unmercifully and Barley’s attempts at flirting are hilarious. From a horror standpoint, Janz delivers not just one but many great antagonists. First up is “The Children”, who are some of the most frightening creatures I can remember reading about in recent memory. I don’t want to give away too much of what they are or what they are capable of, but when Janz unleashes them on Shadeland, horror fans definitely won’t be disappointed! Then there is Carl Padgett, widely known as “The Moonlight Killer”. He is a deranged serial killer influenced by Jack The Ripper and when you hear about him earlier through other characters point of view, he seems scary but when you finally see him in action…wow. His interactions with Will are tense and full of action as he plays a complex psychological game with him. He is incredibly strong and what makes him frightening is his total disregard for human life. He clearly relishes causing carnage and destruction and while “The Children” are probably the most frightening characters in this book, Padgett is every bit as bloodthirsty as they are. I also loved Janz’s approach to the format of Children of the Dark. The novel blends a coming of age horror story with elements of the creature feature and slasher genres and Janz weaves these threads together seamlessly for one of the best reads of the year. There is a lot to like about Children of The Dark from adrenaline-fueled action scenes, plenty of twists, and a second act that left my jaw on the floor. Children of the Dark serves as a prequel to Janz’s serial novel Savage Species and while I haven’t read it yet, I am definitely planning on reading them as soon as possible. Children of the Dark is another stellar novel from Janz and an essential addition to the library of any horror fan! Purchase Children of the Dark: Amazon, Barnes & Noble, or your favorite bookstore! Will Burgess is used to hard knocks. Abandoned by his father, son of a drug-addicted mother, and charged with raising his six-year-old sister, Will has far more to worry about than most high school freshmen. To make matters worse, Mia Samuels, the girl of Will’s dreams, is dating his worst enemy, the most sadistic upperclassman at Shadeland High. Will’s troubles, however, are just beginning. Because one of the nation’s most notorious criminals—the Moonlight Killer—has escaped from prison and is headed straight toward Will’s hometown. And something else is lurking in Savage Hollow, the forest surrounding Will’s rundown house. Something ancient and infinitely evil. When the worst storm of the decade descends on Shadeland, Will and his friends must confront unfathomable horrors. Everyone Will loves—his mother, his little sister, Mia, and his friends—will be threatened. And very few of them will escape with their lives. 2013 saw the publication of his novel of vampirism and demonic possession The Darkest Lullaby, as well as his serialized horror novel Savage Species. Of Savage Species, Publishers Weekly said, “Fans of old-school splatterpunk horror–Janz cites Richard Laymon as an influence, and it shows–will find much to relish.” Jonathan’s Kindle Worlds novel Bloodshot: Kingdom of Shadows marked his first foray into the superhero/action genre. Jack Ketchum called his vampire western Dust Devils a “Rousing-good weird western,” and his sequel to The Sorrows (Castle of Sorrows) was selected one of 2014’s top three novels by Pod of Horror. 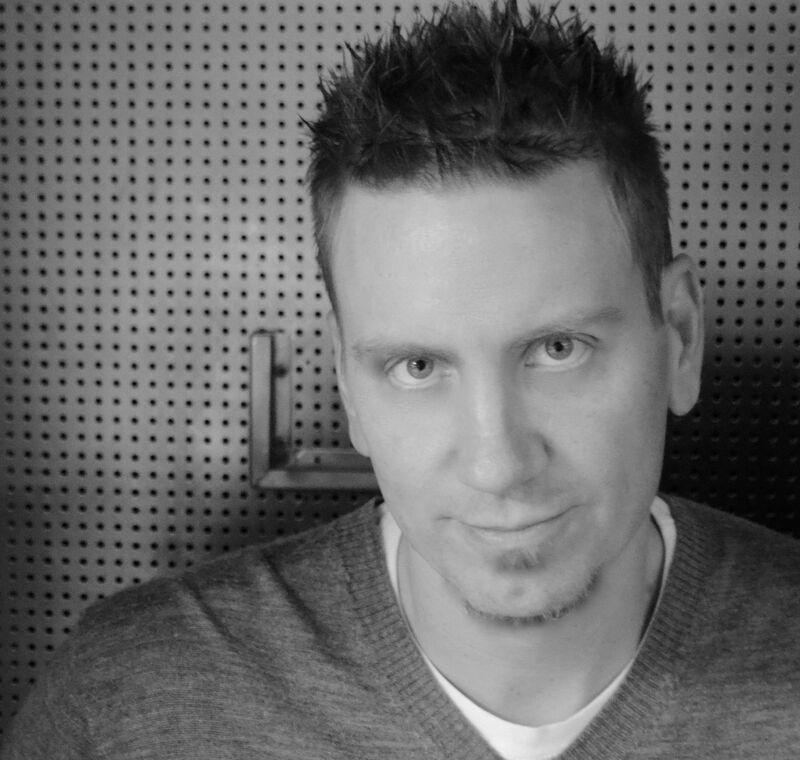 2015 saw the release of The Nightmare Girl, which prompted Pod of Horror to call Jonathan “Horror’s Next Big Thing.” 2015 also saw the release of Wolf Land, which Publishers Weekly called “gruesome yet entertaining gorefest” with “an impressive and bloody climax.” He has also written four novellas (Exorcist Road, The Clearing of Travis Coble, Old Order, and Witching Hour Theatre) and several short stories. His primary interests are his wonderful wife and his three amazing children, and though he realizes that every author’s wife and children are wonderful and amazing, in this case the cliché happens to be true. You can learn more about Jonathan at www.jonathanjanz.com. You can also find him on Facebook, via @jonathanjanz on Twitter, or on his Goodreads and Amazon author pages. All Smoke Rises opens with a stunning prologue that puts readers in the shoes of a doctor at the Sharepoint Psychiatric Hospital. You still feel the crushing weight of the mental illnesses of your patients – surrounded daily by the sounds of orderlies chasing patients through the halls – even after 17 years on the job. You walk out into the hallway after hearing yet another struggle and the latest rowdy patient, who is covered in blood, looks directly into your eyes and says, “You. You let him go. You did it. Now you must read and learn what happened”. It is a proclamation that would make most people freeze in terror, but it is a situation you have witnessed thousands of times before. The man checked himself in and no one has a clue who he is because there is no ID or cellphone on him, all he had on him was a bag crammed full of papers. You drive home reflecting on your day-to-day life, consumed by the stress of the job and doing whatever you can to keep both the darkness and loneliness at bay. It seems like the same routine you have followed your whole career until the night the man from Sharepoint breaks into your home. Fearing for your life, you are stunned when the man makes a simple request following a string of strange ramblings – he slaps down a large pile of papers and demands you read what he wrote and see the truth. This is when you learn about Lilly’s tragic story and how she transformed into what she is now. Right before a tragic scene, he demands you read the pages until the end because you must. This opening is meant to grab your attention instantly and it works to chilling effect. It is with that insistent urge to read the pages of this mysterious man’s story that kick off the story of All Smoke Rises. Readers of Milk-Blood will remember the tragic story of Oscar and All Smoke Rises opens with his mom, Crystal. She is at the parole office to visit with Agent Hastings, an officer that has quite the reputation among all of those who are assigned to her. Crystal knows that Hastings would love nothing more than to see her behind bars again, but she is determined to never go back again. Crystal was sentenced to five years in prison for child endangerment following the death of her young son Oscar and though she is out, she is haunted by the guilt of that fateful night. She still lives with Avanti and helps him with his business despite the fact that getting caught would ruin her life forever. She still finds herself staring at her former home, the site of Oscar’s death and haunted by the memories of his loss. Matthews offers an unflinching look at the darkness that lurks on streets like Brentwood and we finally learn the fates of both Jarvis and Lilly following the events of Milk-Blood. Jarvis is still hanging around, though he is even more terrifying than when readers last saw him. There are vicious attacks on drug users that frequent the area, never to be heard from again. Those attacks are the work of Jarvis, who kills drug users to get Lilly the blood she needs to survive. Lilly is a shell of her former self, but she holds a power that was not present in her former life. When Lilly is in the throes of her withdraw, she endures horrific pain, but that is only the beginning of her frightening new reality. Lilly hears the voices of those who have long since passed on from the hardened street of Brentwood, voices that never stop and implore her to do all kinds of things. She is able to hear them, but unable to communicate back. However, Jarvis knows how to pull Lilly back from the brink, an act that fills her with remorse, but one that is necessary. The one thing that helps keep her going is the thought of her Uncle Nelson, who still lives on that same street, feeling no remorse for his decision that led Lilly down a path of pain and death. Lilly is consistently straddling the line between life and death and when she slips closer to death, she is plagued by disturbing visions. Jarvis still commits acts of extreme violence and is prone to outbursts, but providing for Lilly keeps him from going completely off the rails. It doesn’t take long for Crystal to cross paths with Lilly and they form a fateful bond that will transform both of their lives forever. Once I started All Smoke Rises, I knew I was in for a treat and I actually read it in one sitting. The reason for my feverish reading was that I loved Milk-Blood. I couldn’t wait to see what happened to these characters and how they attempted to move on after the violent and crushing aftermath of the first novel. The more I read, I felt compelled to finish the story. The prologue was effective because it makes you believe that you are a part of the story and you feel like you need to finish what has been started. Matthews is a talented writer and his ability to capture your emotions with his dark prose is commendable. Mark Matthews offered up one of the most original concepts in recent memory with the books in the Milk-Blood world and All Smoke Rises is even better than the first. There are a lot of things to love about this novella – the originality and the ability to take real-world horror and blend it with the supernatural to chilling effect. While Milk-Blood focused more on real life horrors with only dashes of the supernatural, All Smoke Rises ramps up the supernatural element and it is completely terrifying. While the concept of Lilly and Jarvis’ affliction is his own creation, I thought it was cool that Matthews takes familiar horror ideas and warps them into something new. While Lilly’s need for blood to survive instantly makes me think of vampires, she is a truly unique character that you will definitely want to read about. Mark Matthews captures the darkness that lurks in the very neighborhoods we inhabit and sheds a light on a very serious problem and the events that cause them. I loved the way Matthews handled the structure of Milk-Blood and he does some interesting things with All Smoke Rises as well. Matthews puts the reader right into the action by utilizing a 2nd person point of view in the opening portion of the novella. The reader is not merely a spectator but a key character in the sadness and darkness that permeates every page. I also liked that Matthews chose to switch viewpoints throughout the story, it is a great move that allows the reader to see certain scenes from many different perspectives. 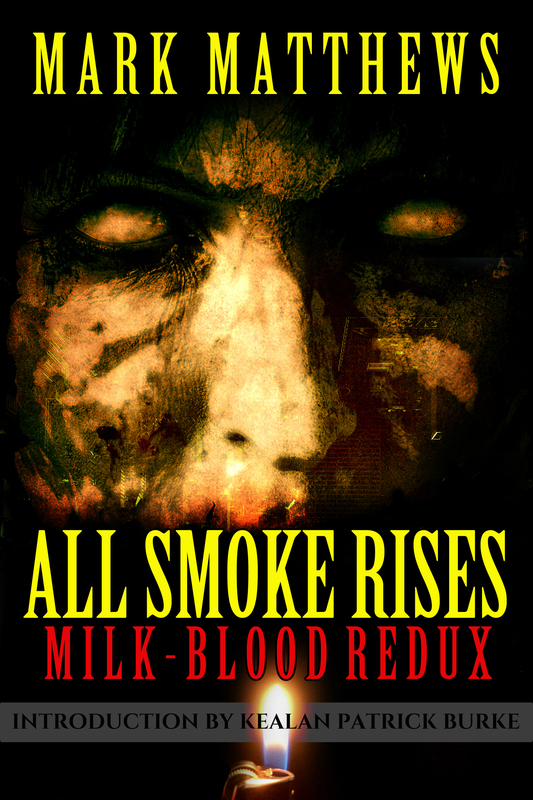 While All Smoke Rises is a sequel to the events of Milk-Blood, it works well as a standalone story. Matthews recaps the events of Milk-Blood in an interesting way and although you don’t need to read it to know whats going on, I recommend it. Although a lot of the moments in All Smoke Rises are full of sadness and desperation, there is also a glimmer of hope. I highly recommend all horror fans picking up a copy of All Smoke Rises, it is a frightening and emotional story that will stick with you long after you finish it. 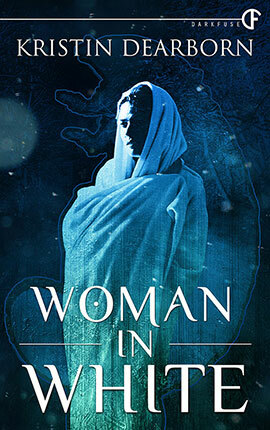 Woman In White is my first experience reading Kristin Dearborn’s work and I was hooked as soon as I read the synopsis. I couldn’t help but think it had all the hallmarks of my favorite type of horror story – A fierce storm stranding inhabitants in a small town cut off from civilization, a bizarre mystery, and elements of the supernatural. After reading Woman In White, I can safely say it lived up to my expectations and I am so glad I signed up for the novella’s blog tour! Woman In White opens with Dennis, a man traveling to his lovers house in the middle of a pretty vicious winter snowstorm in Maine. He is jolted when he sees a woman unexpectedly standing in the middle of his lane and almost loses control of his car when he attempts to avoid hitting her. He can’t believe his eyes. The woman was wearing a thin white dress and no shoes, which was odd considering the harsh weather. Dennis struggles with the decision to help the woman, having had a few drinks at the bar and plans to meet Mary Beth Stanton. He is unnerved when thoughts of a horror story pop into his mind and contemplates high tailing it out of there but ultimately decides to help. His attempts at communicating with the woman fail and he ultimately wraps her up and escorts her to the warmth of his car. Despite the creepy aurora that surrounds the woman (not leaving footprints, a catatonic trance, etc), Dennis heads towards town to help the woman. The next morning, Angela Warren is working her shift at the diner and overhears some regulars talking about how his car was found in the middle of River Road, abandoned aside from a massive quantity of blood that coated every inch of the vehicle. Dennis wasn’t the only person to go missing. Despite the blood evidence left in the car, the cops were unable to say with confidence the blood belonged to Dennis. There were issues with the samples preventing them from matching it to Dennis. State Trooper Vince Staghorn and forensic chemist LeeAnne Dudley are tasked with taking a trip from Portland to Rocky Rhodes to look into the latest disappearance. They think this will be a quick open and shut case and a chance to get away together and spend time where no one will discover their secret affair. However, it doesn’t take long after their arrival in Rocky Rhodes that they get a call about another crime scene. This latest report marks the fourth missing person in the last few weeks and as they begin combing over the scenes for evidence, LeeAnne makes a startling discovery about the blood that others have overlooked. There is usually a lot blood found at the crime scenes, but something had broken down the DNA. Usually this means someone attempted to destroy the evidence, but LeeAnne was unable to find any proof of that happening. The other thing that connected all of the cases was that all of the victims reported missing were men. It soon becomes clear that something sinister is going on as more and more men are going missing around Rocky Rhodes. As the worst snow storm in ten years brings Rocky Rhodes to a halt, LeeAnne, Angela and Mary Beth are plunged into a search for answers that will bring them face to face with unimaginable horror as they learn the shocking truth about the Woman In White. What intrigued me the most was Dearborn’s original take on the Woman in White/White Lady urban legend. I don’t want to spoil Dearborn’s reveal in any way because the twist about what is really going on is one of the things that makes this novella so enjoyable. I thought for sure that Woman In White was going to be a traditional ghost story or maybe a vampire story, but I was totally surprised by what Dearborn unleashes on readers with her Woman in White figure in the second half of the story. While I thought her take on this figure was awesome and pretty damn frightening, I would have liked some more background about the character. There are a few scenes from the Woman In White’s perspective, but it never really gives a concrete picture of its motives or how it chooses its victims. Dearborn does an excellent job of crafting tension by setting her tale in Rocky Rhodes, a small town located in the Maine wilderness. It is isolated and cell phone service is virtually nonexistent, which makes it the perfect location for the horrors Dearborn unleashes on the town and its residents. I am a big fan of horror stories that are set in the winter. The idea of being stranded in the wilderness due to the elements and the inability to call for help makes for a creepy setting and only amplifies the terror felt by the characters. Ever notice how when you go outside during a major snowstorm and everything seems to be quiet and still? Normally this would be a peaceful and beautiful experience, but with the strange disappearances swirling around Rocky Rhodes, it creates a suffocating atmosphere of fear. Dearborn’s vivid descriptions of the storm and the town is one of the things that really helped me lose myself in Woman In White. Dearborn builds an impressive cast of characters and despite the relatively short length of Woman In White, she brings them all to life, from the main characters down to random residents of Rocky Rhodes. Angela struggles with the small town nature of Rocky Rhodes and the rumors surrounding her personal life, biding her time until she can leave behind her abusive ex-boyfriend for a new start in the city at college. Her ex Nate tries to maker her life a living hell, but Angela still finds herself torn between him and her feelings for Jason, the owner of the diner who had been in the military. Mary Beth mourns the death of her lover Dennis. She was always careful not to refer to him as her boyfriend, but it is clear that his disappearance weighs heavily on her life. Woman In White offers up plenty of supernatural thrills, but there is also elements of real-life evil sprinkled throughout the story. Angela’s ex Nate is every bit as creepy as the titular Woman In White. He is a total slimeball and throughout the course of this novella, his increasing displays of evil and brutality is responsible for some truly hair-raising moments. Woman In White is a thrilling novella that offers the perfect mix of atmospheric tension and gruesome scenes that I think will appeal to a wide variety of horror fans. I was totally caught up in the action from the moment I started reading and I have a feeling Woman In White will make my year-end list in the novella category. 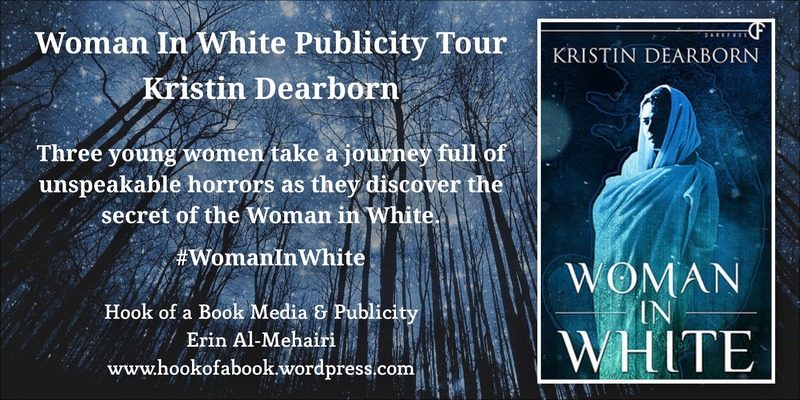 While Woman In White works well as a standalone story, I can’t help but hope that Dearborn writes another book featuring the Woman In White in the future! While the storm rages on, the wave of disappearances continue, the victims sharing only one commonality: they are all male. Now it’s up to three young women to figure out who or what is responsible: a forensic chemist, a waitress struggling with an abusive boyfriend, and a gamer coping with the loss of her lover. If it screams, squelches, or bleeds, Kristin Dearborn has probably written about it. She’s written books such as Sacrifice Island (DarkFuse), Trinity (DarkFuse), and had fiction published in several magazines and anthologies. Stolen Away was recently a limited edition offered from Thunderstorm Books, which sold out. 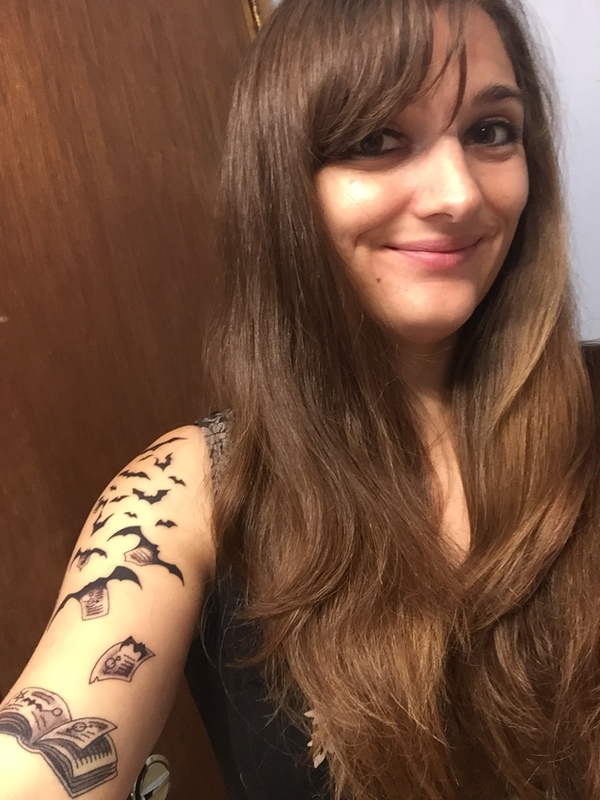 She revels in comments like “But you look so normal…how do you come up with that stuff?” A life-long New Englander, she aspires to the footsteps of the local masters, Messrs. King and Lovecraft. When not writing or rotting her brain with cheesy horror flicks (preferably creature features! ), she can be found scaling rock cliffs or zipping around Vermont on a motorcycle, or gallivanting around the globe. Find more on Kristin at http://kristindearborn.com/. Anyone who follows my reviews on The Horror Bookshelf knows I am a huge fan of Glenn Rolfe’s work. Since discovering Glenn’s debut The Haunted Halls back in 2014, I have been hooked on Rolfe’s brand of horror that feels both fresh and yet has an old-school feel to it. So when I was asked to join the blog tour for his latest novella Things We Fear from Samhain Horror, I didn’t even hesitate to say yes! Things We Fear kicks off following Kasey Campbell, a bartender who has encountered almost every pick up line under the sun during her three-year stint at Patrick’s Place. An interaction with a mysterious stranger with good looks alters her evening from the standard slog into something a bit more ominous. He introduced himself as her “Next Best Night” and seemed fairly harmless, but after an interaction with a bar regular, Next Best Night sets Kasey on edge when he snatches her by the arm and hurls insults at her. Kasey is saved by her friend and bouncer Eric and despite the weirdness of the encounter, she forgets about the man shortly after. It is then we are introduced to the perspective of Matt Holmes, the man who introduced himself as Kasey as “Next Best Night”. He is your stereotypical “tough guy type” and while he comes across as relatively harmless, he harbors a sinister secret. After being thrown out of the bar, he is determined to get his revenge on Kasey for humiliating him. After a pretty intense opening, Rolfe introduces readers to the other two main characters in Things We Fear. Aaron Jackson is an Ed Tech at Fairington Elementary School and he has been haunted by nightmares about drowning since he was fifteen. Every time he slips into this dream he is gripped with terror and sees something that turns his blood to ice. Dr. Lewis, his therapist, says that the horrifying image is just Aaron’s brain giving a face to his fear, but it seems much more real to Aaron. The nightmares started after the accident at the swimming spot called the Ropes, where Aaron almost drowned. Often times when he is awakened by these terrifying nightmares, the only thing that can help him get back to sleep is by self-medicating with a few beers. In an attempt to at least lessen his fears, every summer after the school year is over, Aaron heads down to Old Orchard Beach and rents a beach house to be by the water. Although it seems crazy for him to want to be near his greatest fear, the comforts of the beach and being surrounded by familiar faces helps him deal with his anxiety. Emily Young is also looking forward to the end of the school year and a chance to work on her writing and to finally tackle although her summer gets off to a creepy start when she notices a white SUV that seems to be monitoring her apartment until she goes outside and it takes off in a hurry down the street. Heading into the final day of the school year, Aaron is contemplating leaving his job at Fairington Elementary after years of failing to make faculty. This year was his easiest yet as he worked with Emily Young, a beautiful teacher that he is constantly daydreaming about. After finally reaching the freedom of his car, he bumps into Emily and after an awkward bit of flirtation, Aaron invites her to look him up if she happens to head down to Old Orchard Beach over the summer. Shortly after the start of summer vacation, Emily finds herself needing to get away from town for a little while after she is shaken when her tire was slashed. She thinks it could have been just an act of teenage mischief, but the event still sets her on edge and makes her nervous to be home alone. She decides to book a hotel room near Old Orchard Beach and spend some time with Aaron. The two get over their initial awkwardness and soon kick off a summer romance. However, Matt has his sights set on Emily and when he sees Emily with Aaron, it sets Matt off and and begins a chain of events that will forever alter their lives. Rolfe does a pretty good job with building up his characters and bringing their fears to life. Aaron Jackson is confronting his fear of the water after a disturbing event from his childhood and is haunted by a vision that is pretty terrifying. I don’t know if the thing Aaron sees is just a manifestation of his fears or if it really exists, but either way it gave me the creeps! Emily Young is trying to allow herself to open up after being hurt in relationships during the past, but is scared of her feelings for Aaron. Phys Ed teacher Matt Holmes doesn’t seem to have any fears of his own, but he does thrive off of causing fear in others. I hate to say it because this character is just the epitome of evil and sleaziness, but Matt Holmes was one of the more intriguing characters in Things We Fear. Matt is a dangerous predator and although he may not seem it at first, Matt is an intelligent person when it comes to his crimes. He is able to read people and adapt his personality to try to worm his way into their lives. In Emily’s case, he tries to portray himself as a nice guy, apologizing for his forward behavior and coming to her rescue at opportune times. When I am reading a novel, I like to try to visualize characters based off their mannerisms and descriptions. I don’t know why, but for some reason every time Matt popped up, I couldn’t help but think of a homicidal version of Stifler from the American Pie movies. This is a novella so I understand some of his back story needs to be left to the imagination, but I would have loved to see more of how Matt developed into the type of person he is during Things We Fear. I think there is a pretty cool story hidden in there! I also loved the interactions between Aaron and the Hersom’s, the couple he rents his cottage from every summer. It is clear that over the many years of renting from them, Aaron has built a strong relationship with them, almost like his own grandparents. He is particularly close to Mrs. Hersom, who teases him about his crush on Emily and is always reading the horror novels he sneaks to her. Rolfe also does a perfect job of capturing the setting of Old Orchard Beach. I have never been to there before, but Rolfe’s vivid descriptions of the town – from the smell of the Atlantic to the small shops and landmarks that give these beach towns their own unique charm and identity – made me feel like I had been going to Old Orchard Beach all of my life. While I was reading Things We Fear, I couldn’t help but think of Stephen King’s Joyland, which is one of my favorite novels. I think that both of those novels have perfect settings that capture that feeling of nostalgia and the joys of summer while offering just a hint of darkness lurking below the surface. I loved the way Rolfe utilizes the multiple view points of the characters, particularly how we see certain interactions from different point of views. Also, let me just say for the record that Matt’s chapters are downright creepy! I also think it was great how he takes the chapters of the teachers Emily, Aaron, and Matt and weaves them together with hotel worker Heather, in what seems like a random order until the different storylines slowly converge on one explosive event. Things We Fear is a straight-ahead thriller that focuses solely on real life horror that could actually happen and shares a lot of the same atmosphere as his previous novella Abram’s Bridge. While there is plenty of evil and violence in Things We Fear, it is one of Glenn’s works that doesn’t feature any supernatural elements. That is unless you count the thing that appears in Aaron’s dreams, which is beyond creepy and I am surprised it hasn’t yet made an appearance in my own nightmares! 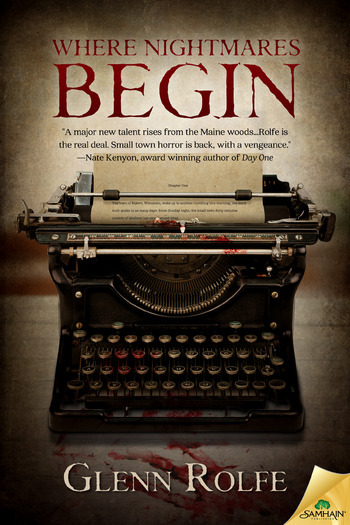 If you are new to Rolfe’s work, I highly suggest picking up a copy of Where Nightmares Begin, which collects three of his novellas – Things We Fear, Boom Town, and Abram’s Bridge – in print for the first time. This is a great introduction to his work and shows off the versatility he is capable of. Boom Town (review) was a downright creepy sci-fi adventure and Abram’s Bridge (review) was atmospheric with a dark beauty. Where Nightmares Begin is a perfect starting point and I promise you won’t be disappointed with any of these novellas! Glenn is one hell of a writer and continues to get better with each and every release. 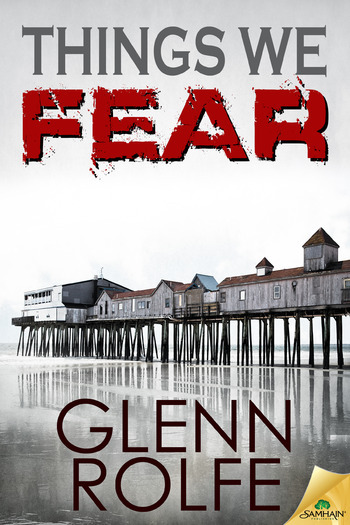 As much as I absolutely love Glenn’s more straightforward horror works, after reading Things We Fear, I hope Glenn continues to write more thrillers as he has a real talent for it. All I know is that regardless of whatever type of story he decides to tackle next, I will definitely be first in line to check it out! Summer has just begun, and fear is in season. School’s out, and the faculty at Fairington Elementary School are free for the summer. Emily Young can’t deny her attraction to Aaron Jackson, the Ed Tech from her classroom, but she’s afraid of being hurt again. Meanwhile, Aaron is determined not to let his phobia of drowning prevent him from enjoying the sun and the sand of Maine’s best beach town. But they’re about to learn real fear. Fairington is home to a monster. Phys Ed teacher Matt Holmes has more to offer the ladies than a perfect smile. He’s a killer and he’s got his sights set on Emily. Who at Fairington will conquer their fears? And who will fall to a psychopath’s hellbent rage? Monsters can hide anywhere. Under a bridge, below the earth…or behind a smile. When Lil Ron realizes the beautiful girl he met under Abram’s Bridge is a ghost, he sets out to make things right for Sweet Kate. His quest leads him into a tangle of small-town secrets as he uncovers a story of heartbreak, violence…and fear. Thirty years after a notorious UFO encounter, the town of Eckert, Wisconsin, is besieged by mysterious rumbles from deep in the earth. As the earthly tremors grow stronger, two pre-teens discover a dislodged pipe spewing a strange, bubbling ooze. Their curiosity unleashes an afternoon of unbridled terror for the entire town. Emily Young can’t deny her attraction to Aaron Jackson, the Ed Tech from her Fairington Elementary classroom, but fears she’ll be hurt again. Aaron is determined to overcome his drowning phobia and enjoy the sun and the sand of Maine’s best beach town. But real fear lurks closer than they think. Fairington harbors a psychopath seething with hell-bent rage—and he’s got his sights set on Emily. Glenn Rolfe is an author, singer, songwriter and all around fun loving guy from the haunted woods of New England. He has studied Creative Writing at Southern New Hampshire University, and continues his education in the world of horror by devouring the novels of Stephen King and Richard Laymon. He and his wife, Meghan, have three children, Ruby, Ramona, and Axl. He is grateful to be loved despite his weirdness. 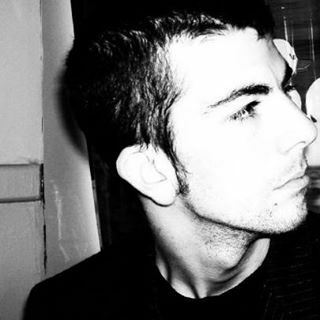 He is the author the novellas, Abram’s Bridge, Boom Town, and his latest, Things We Fear (March, 2016), the short fiction collection, Slush, and the novels The Haunted Halls and Blood and Rain (October 2015). His first novella collection, Where Nightmares Begin, will also be released in March 2016. His next book, Chasing Ghosts, will be coming by 2017. He is hard at work on many more. Stay tuned!